Should some data be more equal than others? Imagine if the Mafia got hold of the internet. You'd still be able to do what you do today, but you'd have to do it via the Mafia's chosen suppliers - and those suppliers would have to pay their protectors if they wanted to stay in business, passing on the costs to their customers. "Nice streaming business you've got there," thick-necked goons might say to them. "Shame if something happened to it." That's pretty much what the US is proposing. The US isn't handing the internet over to the Mafia, of course, but critics of proposed new rules believe they will have much the same effect. They believe that the system the FCC is proposing to "better serve the market" will make the internet worse and result in significantly higher costs for consumers. "The FCC is proposing a new set of regulations for the 'last mile', the final stretch of the internet between the ISP and the customer"
Anything that needed a decent quality of service, critics say - gaming, video streaming, music - would have to pay extra for it, and those costs would be passed on to us. It's all about net neutrality; the idea that all data should be treated equally whether it's an email from your gran, a download from iTunes or a stream from the BBC. It's one of the fundamental principles of the internet as we know it, and critics say that the FCC is proposing getting rid of it. 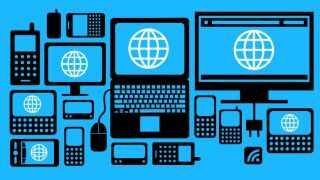 The FCC is proposing a new set of regulations for the "last mile", the final stretch of the internet between the ISP and the customer, under which ISPs would be able to charge "commercially reasonable" terms for prioritising particular kinds of content. Networks won't be allowed to degrade the experience for, or block the websites of, services that don't pay, but they won't be under any obligation to ensure that those services get the bandwidth they need either. The giant US ISP Comcast is already demonstrating the issues that might raise. Its Xfinity On Demand service for the Xbox is handled differently from other services: video comes from Comcast's own network, not the wider internet, and the data it uses doesn't come out of customers' monthly data allowances. Comcast says it isn't prioritising Xfinity traffic, which is technically true, but in its own words it does "provision a separate, additional bandwidth flow into the home for the use of this service - above and beyond, and distinct from, the bandwidth a customer has for his or her regular Internet access service." That means Xfinity has a clear advantage over rival services such as Netflix. Netflix, as you might expect, isn't very happy about that - but that hasn't stopped Netflix from paying Comcast for preferential treatment of its own content. In February, Netflix signed a deal with Comcast to deliver smoother streaming of its video. As The Economist explained at the time, the agreement "effectively re-draws the model for internet provision in the US," paving the way for ISPs to "divide what is essentially a single internet pipeline into 'fast' and 'slow' lanes (bestowing ISPs with more monopoly power)." Netflix CEO Reed Hastings may have signed the deal and enjoyed a massive speed increase on Comcast's network as a result, but that doesn't mean he's happy about it. In fact, he sees it as a warning of the internet's future. In a recent letter to shareholders, Hastings writes that "the internet faces a long term threat from the largest ISPs driving up profits for themselves and costs for everyone else." It is these "costs" that perhaps influenced Netflix's decision to up its subscription fees this month. Comcast, naturally, says he's talking out of his hat. Netflix can afford it, but that isn't really the point. The worry is that under the proposed new regime, the next Netflix - and the next YouTube, and Vimeo, and Skype, and so on - won't get off the ground because they won't be able to afford the same fast lanes the big names use. The next generation of online services could be held to ransom by ISPs doing a pretty good impression of the mafia goons we described earlier. "The next generation of online services could be held to ransom by ISPs doing a pretty good impression of mafia goons"
In Europe, the EU is going in the opposite direction from the US, with legislation enforcing net neutrality currently going through the European Parliament. As the BBC reports, MEPs feared that "unless new rules were put in place, internet providers might threaten to slow down traffic from data intensive services - such as video-on-demand and cloud storage - unless the firms behind them paid a fee." Mobile and cable firms have objected to this because it "would prevent them from… charging a movie site a fee to ensure that their 4K ultra-high definition films played smoothly on consumers' devices". In the US, the concern is that the FCC's proposed consumer protection is too weak. Firms will have to offer a "baseline" service and wouldn't be able to indulge in "commercially unreasonable" practices, but that's open to all kinds of interpretations. Deliberately hobbling a site or service would no doubt be "commercially unreasonable", but what about neglect, latency issues or prioritising rivals? And given the slow speed at which regulators operate, would "commercially unreasonable" behaviour be stopped and punished quickly enough to prevent startups from being suffocated? No such thing as a "fast lane"
The big worry here is that you can't prioritise some content without having a knock-on effect on other kinds of content. Much of the publicity over the FCC proposals has talked about "fast lanes", but they don't exist: internet data comes to your house via the same pipes whether its providers pay extra or not. Think of it in terms of a budget airline introducing speedy boarding: it doesn't add more seats to the plane to accommodate the speedy boarders; it just makes everybody else wait while they get on board. That becomes self-perpetuating, because the more people pay for speedy boarding, the longer everybody else has to wait - so before long the only way to ensure you don't spend your day queuing is to stump up the extra cash like everyone else. The good news is that that particular vision might not come true just yet: the UK has the EU in the consumer's corner, and in the US the FCC proposals have caused a massive storm of negative publicity - much of it focusing on the fact that the boss of the FCC is a former cable and wireless industry lobbyist, which casts doubts on whether the man in charge of net neutrality is neutral himself. It's quite possible that the negative publicity will force the FCC to backtrack again - for a while, at least - but this issue isn't going to go away. The struggle between content providers and ISPs has been raging for years (remember when ISPs were furious at the original iPlayer? ), and this is just the latest skirmish in what's already proven to be a very long war.